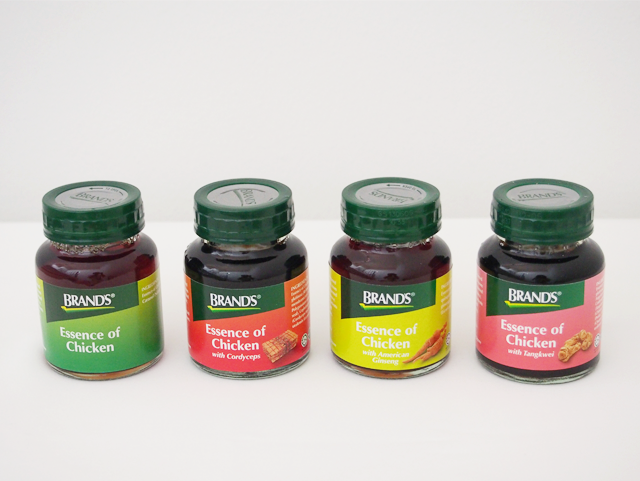 Brand's Essence of Chicken played a major role in my childhood because Gran thought it would help me get good grades. 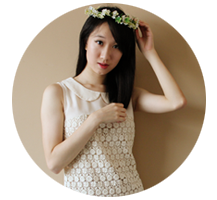 On the mornings of examinations, she would warm up a bottle and prepare a little cup of sweets beside it. I drank it all the way till the big Os (Without the sweets, of course.) and then, it just kind of stopped. Actually, no. Dad started drinkinggulping it. Haha. Anyway, even though I have consumed so many bottles of it, I had no idea that Brand's Essence of Chicken has been around for 170 years. Truth be told, I thought it was a young Singaporean brand because of all the top PSLE kids' endorsements. Haha. Yes, it doesn't make sense. And yes, I amwas ignorant. The birth of the brand actually dates all the way back to the 1820s, when King George IV's health was deteriorating. It inspired the royal chef Henderson William Brand to develop a chicken tonic and it boosted the king's health. Of course, word got around and backed by popular demand, Mr. Brand decided to establish his own business in 1935. 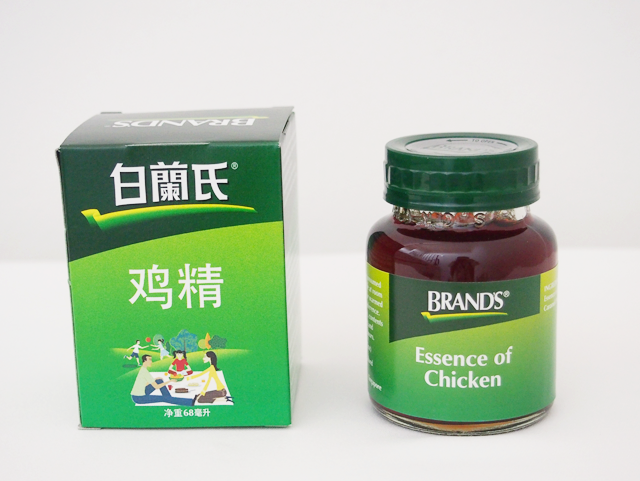 He started selling Brand's Essence of Chicken as a supplement for both the young and the old. Boosts brain health and brain fitness. Reduces stress levels and contributes to a relaxed mood. Increases levels of stress tolerance. Increases mental concentration and improves short-term memory. 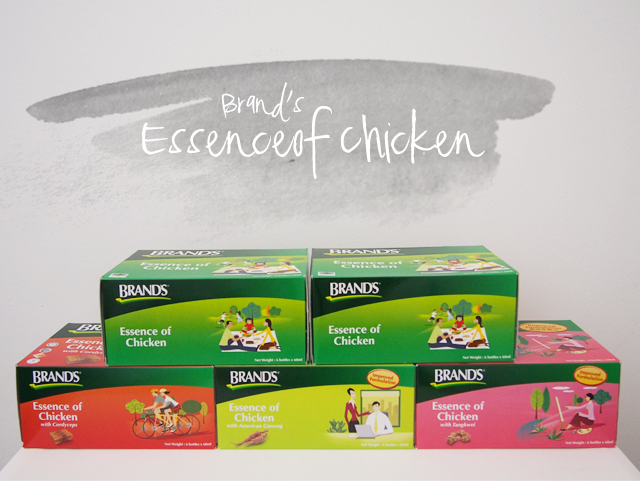 And Brand's Essence of Chicken now comes in various flavours to suit our needs! The original Essence of Chicken provides us with the daily nutrients required for health maintenance and mental alertness. It is fat-, cholesterol- and preservatives-free. For busy working professionals who require a mental, emotional and physical boost. Coupled with the goodness of premium Cordyceps, this helps to enhance and strengthen out immune system. It stimulates the production of natural 'killer' cells that attack pathogens such as viruses and bacteria. For athletes, students and professionals who require maintenance and a boost in mental and physical strength and stamina. American ginseng is known to be an effective stress reducer and energy booster. Containing Zinc, Vitamins A, B6 and C and Polysaccharide Glycans, it is often used to enhance out mental and physical performance. For women who need a boost in their performance during the time of the month. An excellent herbal tonic for blood circulation, Tangkwei is added to help balance our estrogen levels and regulate our menstrual cycle. It also helps to alleviate symptoms of menopause, ease menstrual cramps, reduce pain, dilate blood vessels and stimulate the relaxation of uterine muscles. Thank you, Brand's and DeVries for sending me the 5 boxes to try out! (: I know my health will be well taken care of for the next month... That is, if Dad doesn't get to them first!